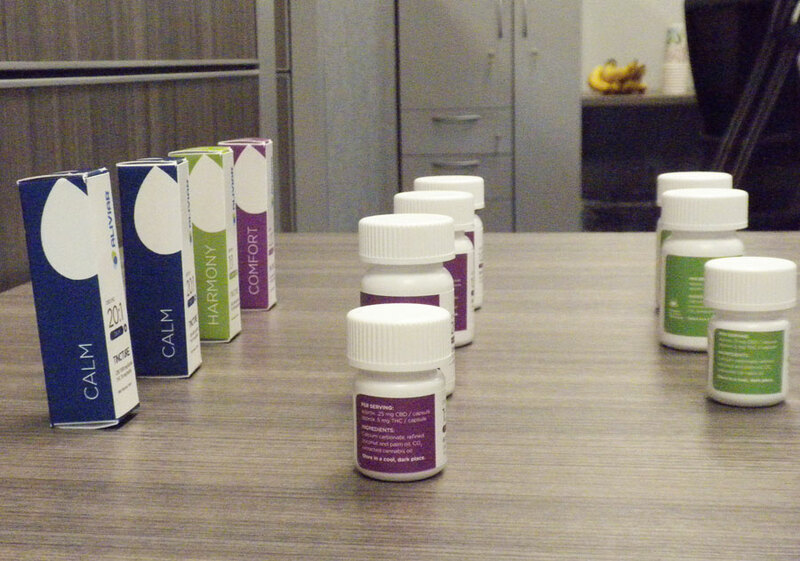 This is what some of the medical marijuana products will look like. The medical marijuana company that’s making the first ever products produced solely in the state gave a preview today of what they are going to offer when sales start December 1st. 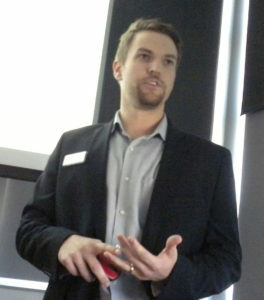 MedPharm Iowa’s Lucas Nelson has been overseeing the project since the state award the company the first medical marijuana license. “This is obviously a major, major day for both MedPharm and I think really for the patients across Iowa, the legislature, the entire community that has seen this program signed into law and now really starting to become a reality,” Nelson says. Nelson spoke in the facility where the company grows the marijuana, extracts the canabis oil (CDB), and manufactures and packages the products. Medical marijuana cream will come in packages like this. MedPharm will operate two of the dispensaries in Sioux City and Council Bluffs. 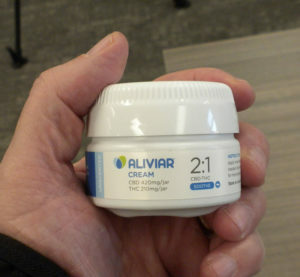 Stephen Wilson oversees the dispensary program and says they will have three Alivar branded products– a tincture liquid, capsules and creams. They each will have different mixes of CBD and THC. The products will feature four formulations called Calm, with a 20 to one CDB to THC mix; Soothe with a two to one CDB to THC mix; Harmony with a one to one mix and Comfort with a one-to-20 CDB to THC mix. “These are the four formulations we have now. We totally expect to have more as the program develops and as we are able to operate,” Wilson says. “And this is why you see the sliding scale here. A two-to-one versus a three-to-one is going to have vastly different affects, which is why we like to keep things on a sliding scale. But for now these are the four formulations you are gong to see and we have several different products within these formulations.” Wilson says everyone’s body reacts differently and benefits differently from the various products and that’s why they have several options. “Each product has its strengths and drawbacks and that’s why we encourage patients to try several different products in order to find the right one that’s going to relieve any symptoms that they are suffering from,” Wilson says. Wilson says they will ask patients to keep notes as they use the products so they can adjust the type and dosage of the products. MedPharm’s Stephen Wilson talks about the company’s medical marijuana products. Those who want to use the medical marijuana products must get certification from their doctor that they have one of the conditions that allows them to buy the products. Wilson says the decisions on dosing will be done by the staff at the dispensaries in consultation with the patients. “Once the physician certifies that they have that condition it’s going to be really up to the patient consultants to determine that treatment plan,” Wilson explains. “That’s why we are going to make sure that our patient consultants at Medpharm are very well versed in all of this. We want them to take out as much of the trial and error as possible.” They have had concerns from some patients who have been having trouble finding a doctor to certify their condition.Wilson says this is an issue that has raised the most concern and confusion among doctors. “Doctors are never prescribing this — all they are doing is certifying that the patient has this qualifying condition. And I think that is why a lot of doctors get hung up,” Wilson says. Wilson also gave an expected price range for the four products. The tinctures are expected to range from $50 to $150; the capsules $30 to $130; the creams $65 to $85. 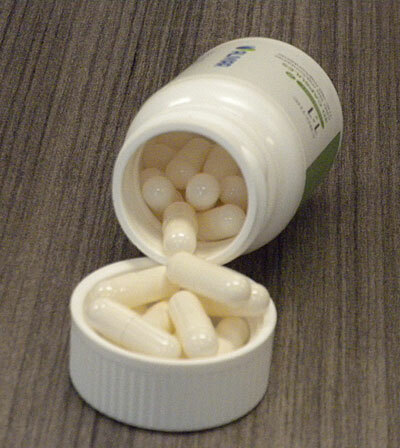 They will also offer a trial pack of capsules that will range from $10 to $25.